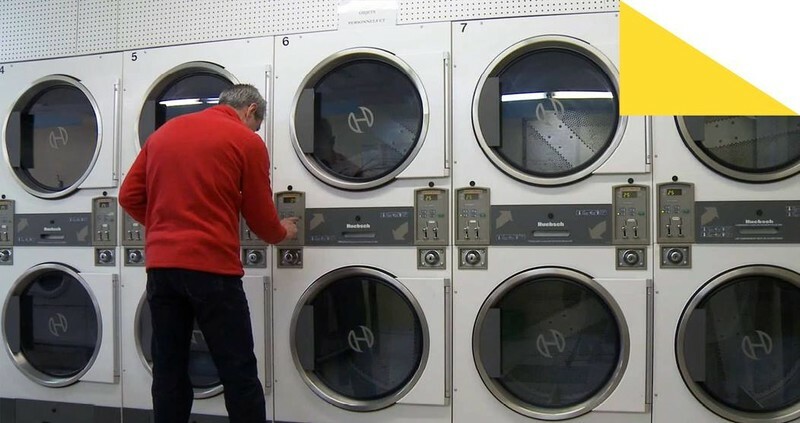 Laundry Time is a short atmosphere film. It explores one of those unfortunately too scarce moments when one has no choice but to put oneself on « pause » and let time go by. The viewer accompanies the users of two laundromats of the St-Michel district, Montréal, as they let their thoughts and moments of silence freely flow through this freed-up time. Over the last few years, Catherine has developed an interest and an expertise in the production of documentaries and podcasts. In 2018, she has produced FERRY, a documentary podcast on the theme of intimacy and sexuality. At the Numix Awards Gala 2018, FERRY was awarded one of the two newly created awards for Podcasting in the Linear web productions category, sub-category: conversations and interviews. A second season of Ferry will follow as a co-production with Radio-Canada. In 2018, she directed with Marie-Isabelle Rochon the documentary film RESTER. Catherine also has an interesting CV as an actress. She is regularly requested for dubbing and to record the soundtrack of publicities and video games. She has been in the casting of numerous plays mostly in Montreal (Espace Go; Théâtre La Licorne; Théâtre Prospéro; Théâtre Aux Écuries; Théâtre Espace Libre) but also in the USA, namely Chicago (Mary Archie Theatre), New York (The Neofuturists) and San Fransisco (The Neofuturists). In the spring of 2019, she will be on stage again in the production of CR#%# d’OISEAU CAVE at Théâtre La Grande Licorne in Montreal. IN 2017, Catherine contributed as well to a news story produced by Isabelle Rochon in the context of a journalism course at the Université de Montréal. The production was selected as runner-up at the PRIX LIZETTE-GERVAIS 2017. In 2018, she has also directed and produced Laundry Time (Le Temps d’un lavage) a short documentary film as a requirement for the completion of the short program RÉALISER UN DOCUMENTAIRE of INIS.